FOR ERCAN RETURN TRANSFERS, WE SUGGEST PICK-UP 3 HOURS BEFORE YOUR FLIGHT DEPARTURE TIME. FOR LARNACA RETURN TRANSFERS, WE SUGGEST PICK-UP 4 HOURS BEFORE YOUR FLIGHT DEPARTURE TIME. We guarantee the best price possible for you, and many available offers. We guarantee on time, direct transfers to and from anywhere you want. There will be no extra charges by our drivers, only the initial cost. All of our cars are private, allowing you to relax after hours in a non-private aeroplane. Our quality cars are equipped to provide comfort after a possibly uncomfortable flight..
We provide transfers around the clock, any time you require them. We have 17 years of experience, with the best service of any airport transfers. We will always arrive prior to your arrival, and take you anywhere you desire. We have brand new cars, with functional air conditioning and comfortable seats. From your experience to our vehicles; everything we offer is first class. 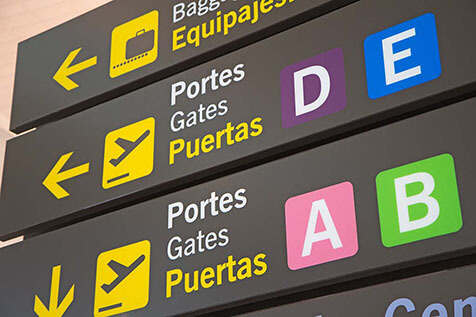 Our friendly, English speaking drivers will greet you at the departure gates after you have collected your luggage, with a sign with your name written on it so that there is no confusion of who your driver is; again making your experience convenient for you. We offer FREE CANCELLATION, which is available up to 48 hours before your collection, and any time after that may come with a small charge for any inconvenience it may have caused our drivers. Although, airport delays will stand at no extra charge. Anytime after that a charge will be applied. Kyrenia Transfers - a family run business - provides door to door transfers in Cyprus for affordable prices. We aim to fulfil your requirements by providing you with safe, comfortable transfers, (which we have had two decades to perfect) with the intention to make your experience the best we possibly can. Despite our name, we provide transfers to anywhere in Cyprus from three airports: Ercan , Larnaca and Paphos . Customer satisfaction is very important for us! Be sure that you will have a very unique taxi transfer services with us.